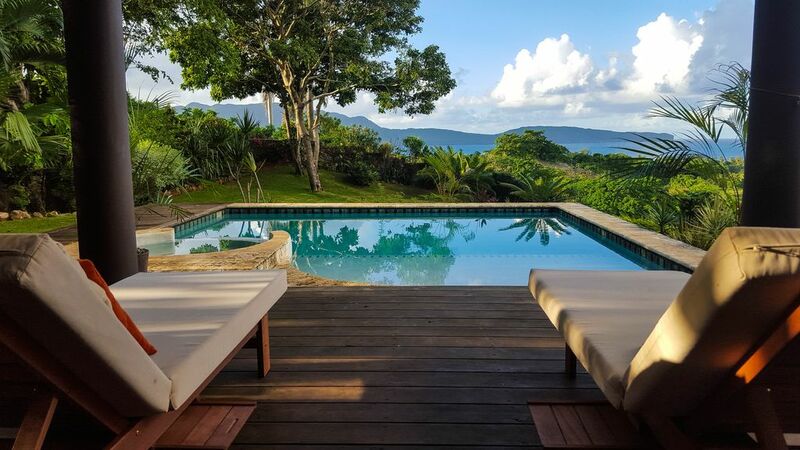 This charming villa is available for rent in Las Galeras. It is located on a hilltop, just a few minutes away from the village center and has a breathtaking view on both Las Galeras Bay and Rincon Bay. The villa has three bedrooms and two bathrooms can accommodate up to 6 people or 3 couples. Each room is equipped with a ceiling fan and has an ocean view. You can prepare your own meal in a fully-equipped kitchen and the pool and Jacuzzi are also at your disposal. View over Las Galeras Bay and part of Rincon Bay. Amazing view on Cabo Cabron and Cabo Samana. Casa Wepita exceeded our very high expectations. The location just above the town allowed easy access to Las Galeras without being right in the middle was perfect. And the view is extraordinary; a view of paradise. Everyone was extremely helpful. In particular, Norma was so gracious and accommodating and a fabulous cook. I highly recommend this location. I would love to return myself!!! Casa wepita was great! The views are breathtaking and the place is a great location to explore las galeras. We were able to hike to many gorgeous beaches nearby including el rincon, Colorado and la playita. You should definitely sign up for the additional charge to have Norma cook your meals. She creates a feast for you every time! And she is also very lovely :) And if you are a cat lover, you will love this place even more! The most beautiful and friendly cat accompanied us throughout our visit, I was so sad to leave her at the end. Definitely recommend this place without any hesitation! Thank you so much for you review ! I hope you did not take Mamey the cat in your luggage ! We hope to see you soon again ! We stayed in case wepita for 10 nights and could not have been happier. The views were breathtaking and Cyril and his team were so helpful and welcoming. I would recommend this property to anybody looking for a relaxing getaway. We were able to walk into town and hike to nearby beaches including Playa Rincon. I would.take mosquito repellent as there are a number of mosquitos. Une belle maison avec des bonnes vibes, simple et cosy. Le propriétaire sympa comme tout, très bon accueil. L'équipe de la maison presente 24h/24 vous donne le luxe de partir à la plage en laissant tout ouvert. Cuisine très bien équipée (ça c'est pour ceux d'entre nous qui aiment la bonne chair) et literie impeccable. Je recommande cette maison à tous ceux qui aiment les choses simples de la vie et des vacances sans stress. Et j'oubliais, le bbq est de compétition !